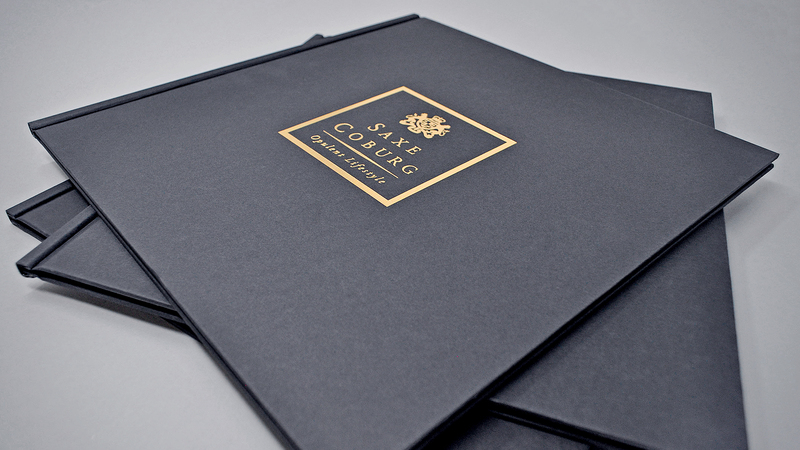 Saxe Coburg are an award-winning Estate Agents situated in Poole and Christchurch – specialising in the luxury property and lifestyle markets of Sandbanks, Lilliput, Branksome Park and Whitecliff. 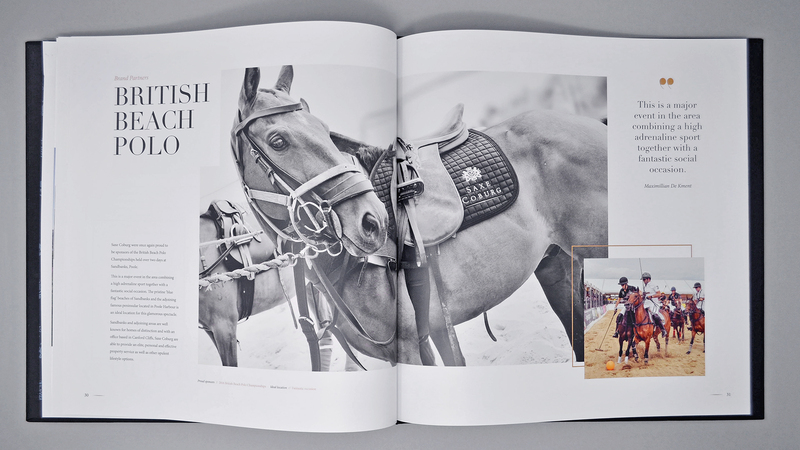 This affluent brand tasked the We Are 778 creative team with the art direction and design of its luxury lifestyle coffee book. 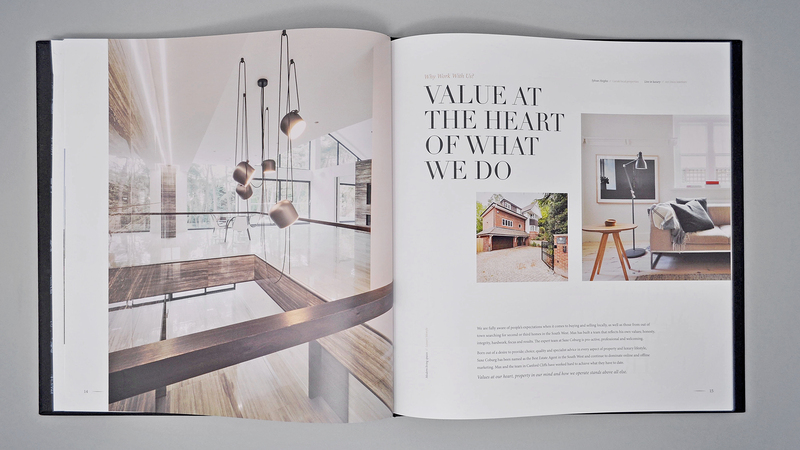 Our creative mission was to convey a print design that promoted it’s first class service – selling the luxurious lifestyle it presents to their high net-worth clients. The result was a book featuring GF Smith Ebony Colorplan ‘paper over board’ covers and spines, which form the opulent hard back, gold foiled covers. 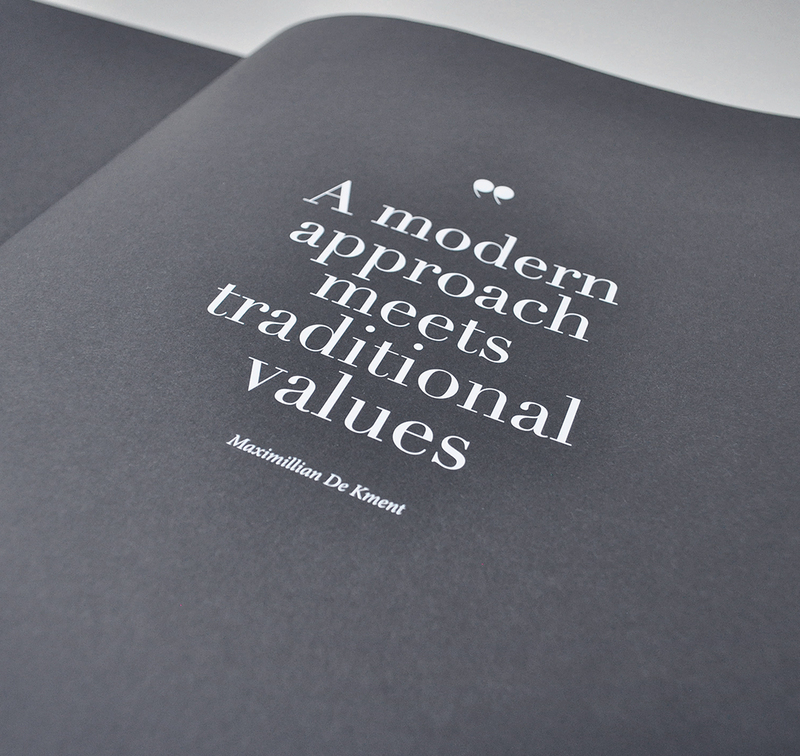 The book is metal-bound, meaning the text pages can be digitally reprinted and inserted back into the covers. 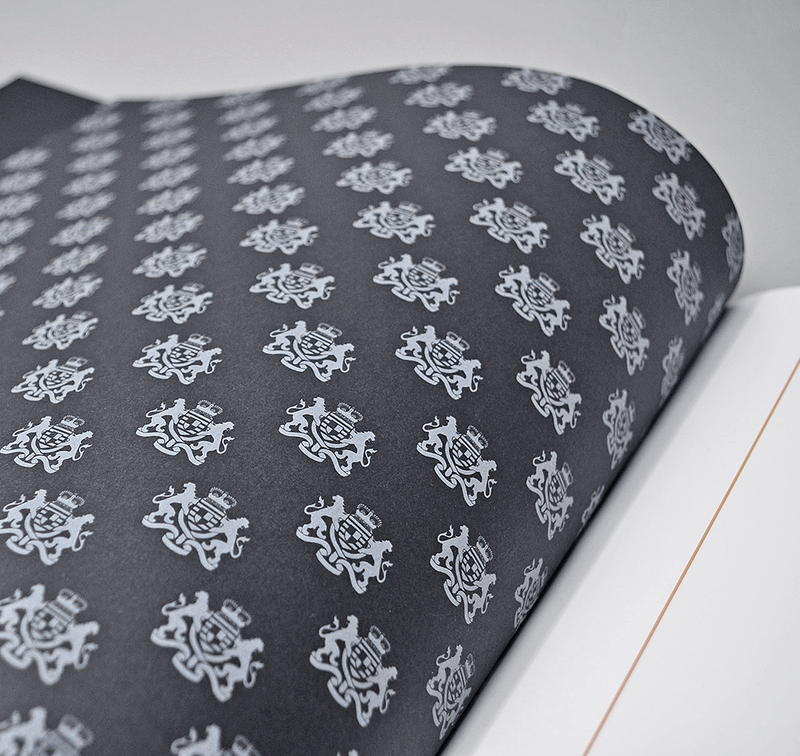 This customisable build means that content updates can be made personally – keeping Saxe Coburg’s marketing current and saving our client money on reprints.